Sony Entertainment Television’s blockbuster series ‘Kaun Banega Crorepati 9’ has proved a huge ratings winner by pushing the channel to No.2 in Urban data, according to official BARC India figures for Week 37 of 2017. 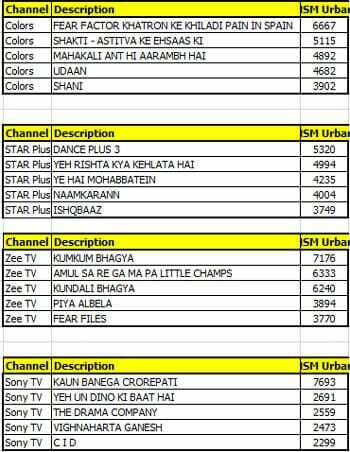 Star Plus remained the most watched Hindi GEC in the Urban region with 409,111 million Impressions, followed by Sony TV with 396,037 million Impressions and ZEE TV in third with 383,840 million Impressions. Colors was in fourth with 374,853 million Impressions and Sony SAB in fifth with 278,795 million Impressions. In the Rural region, ZEE Anmol stayed top with 521,080 million Impressions, followed by Sony Pal with 369,332 million Impressions and Star Bharat at No.3 with 330,055 million Impressions. 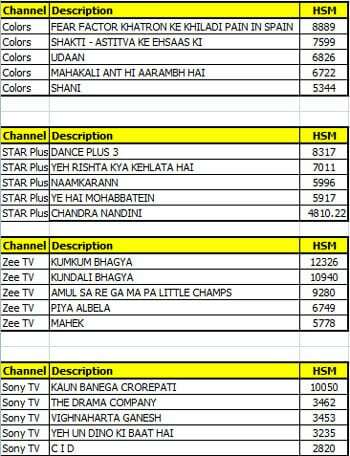 In fourth place was Rishtey with 296,130 million Impressions and ZEE TV in fifth with 249,133 million Impressions. 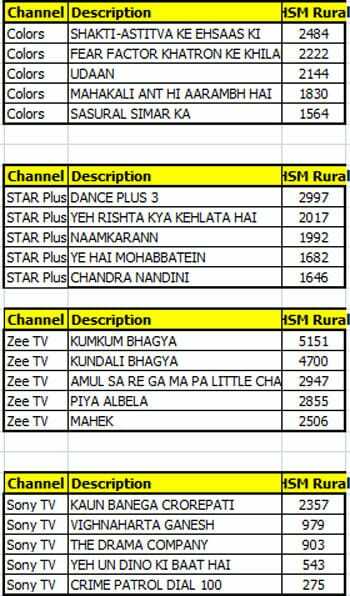 The combined Urban and Rural data put ZEE Anmol in front with 672,253 million Impressions, followed by ZEE TV with 632,973 million Impressions and Star Bharat in third with 607,820 million Impressions. At No.4, Star Plus with 587,286 million Impressions and Colors next with 544,690 million Impressions.